Several schools in Kansas have cancelled classes on Monday in anticipation of Monday’s solar eclipse. Salina USD 305 schools are not cancelling classes, but are allowing students and staff to go outside and view it. The district is providing glasses so it can be viewed safely. 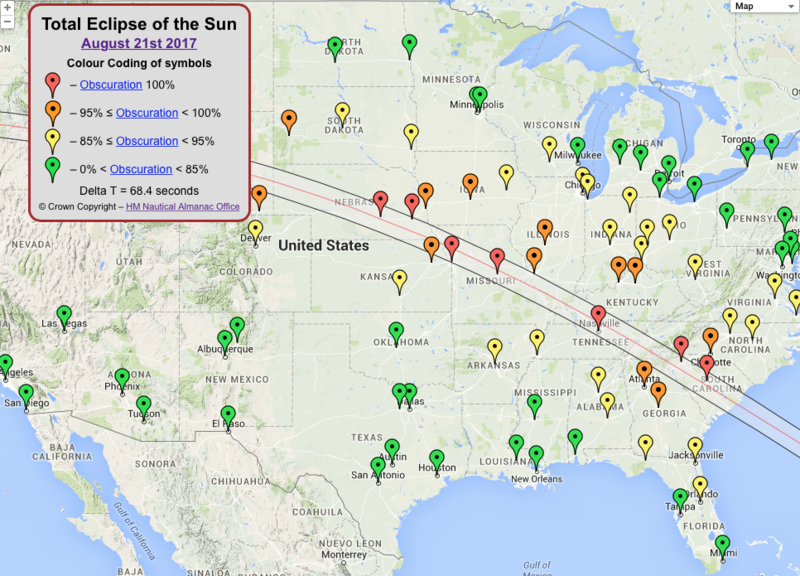 While it won’t be a total eclipse, about 96 percent of the sun will be blocked by the moon in the Salina area. Salina USD 305 schools have purchased eclipse glasses from a website recommended by the American Astronomical Society as a reputable vendor of solar filters and viewers. Parents of students in classes that will be viewing the eclipse were notified by principals. Eclipse viewing is voluntary, parents and guardians have the option to opt-out if they prefer their child not participate. Classroom instruction about the eclipse depends upon the age of the students. Elementary science teachers, who meet with students weekly, were asked to provide appropriate background for all elementary grades. The eclipse fits well with science instructional standards at grades 6 and 9. South Middle School: Students will observe the eclipse with their assigned instructor that period. Lakewood Middle School: The entire building will go out to view the eclipse around 1:00. Students will be collecting air temperature data for the GLOBE observer for NASA Citizen Scientist. Meadowlark: The building purchased eclipse glasses for all students. Schilling: The building third, fourth, and fifth graders will use the eye glasses. Heusner: The building purchased eclipse glasses for all students. Coronado: The building purchased eclipse glasses for all students. Cottonwood: The building purchased eclipse glasses for all students. Stewart: The building purchased eclipse glasses for all students. Oakdale: The building purchased eclipse glasses for all students. Sunset: The building purchased eclipse glasses for all students. Both high schools have plans to let students view the event as well.